Width . . . . . 50'-0"
Depth . . . . . 64'-0"
Welcome to the Crestridge ranch house plan in our Slab Grade collection. This three bedroom two full baths offers big living. And if you like big make sure to check out the three stall garage. 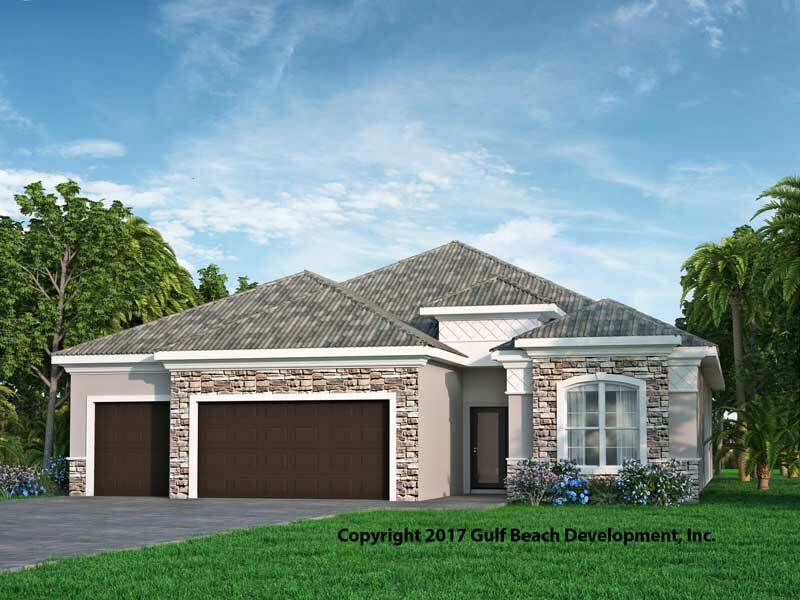 The exterior of this home can be built using a stucco finish or siding look with option stone accents. 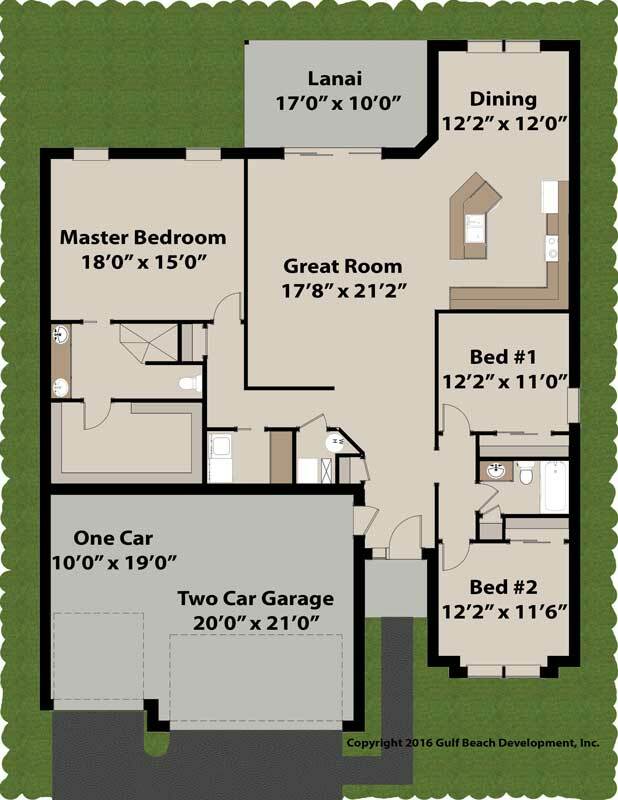 The plan is a split bedroom design with the master bedroom at 15’x18’. The other two bedrooms located toward the front side of the home making it easy to transform one into a home office for occasional visit for business acquaintances without going through your whole house. The open kitchen has an island sink with a raised bar top. From walking into the front door into the foyer the large open great room just invites you in. The laundry room also includes a nice fold countertop with open spots to place you baskets below. The Crestridge house plan like all of Gast Homes designs includes the added optional upgraded fortified build features. 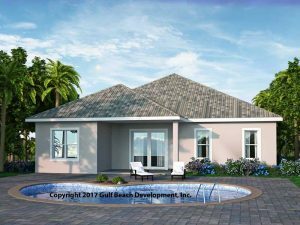 To reach this super strong home design its starts with insulated concrete form exterior walls and impact rated windows and exterior doors. Then create a short soffit overhang that creates a closed attic system avoiding high winds uplift. Then install Advantech coated roof sheathing with taped seams and ring shank nails. If you’re considering a new construction home then reach out to your local certified Gast Homes real estate agent and let’s make it happen.